The Gardens at Elche - The Huerto del Cura are a gorgeous jewel of a garden and well worth the visit to the historic town of Elche. 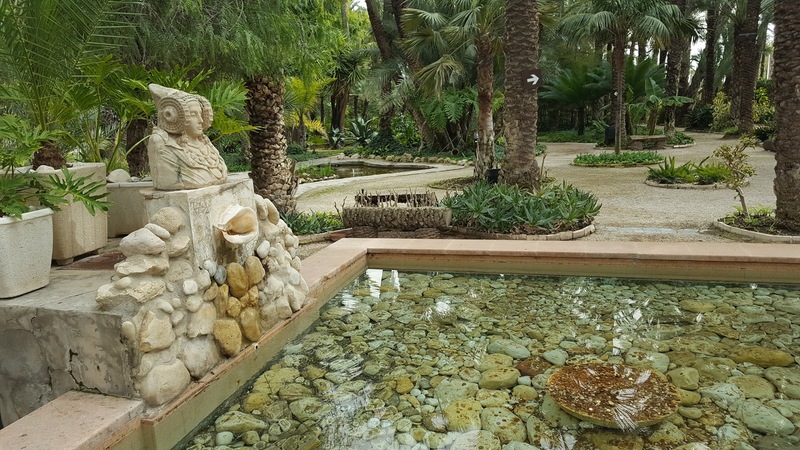 Not only is it situated within one of the largest palm groves in the world, it is just a short drive from Spain's Alicante airport. That being said, just how do you get to the Gardens of Elche - The Huerto del Cura? There are two things you need to be aware of before you go to The Huerto del Cura. You can't just arrive in the town and expect to find your way to the gardens of Elche. Why? Because the signposting to the gardens is intermittent at best and increasingly non-existent the nearer you get so be prepared and take a suitable map or preferably a satellite navigation or mobile phone downloaded with European mapping. Secondly, if you are driving yourself then parking can be a real headache in Spain. Of course taking a taxi or organised excursion will always be a more relaxing although more expensive option, unless you are driving a car specifically hired for this visit. Please note that a recent survey found that it takes an average of eight minutes to find a legal parking space in any of the main towns, and nearly twice as long in large cities. 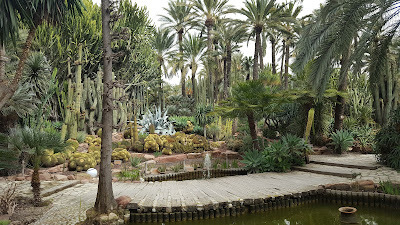 With this in mind be aware that the Huerto del Cura does not have off street parking and on my last visit to the Gardens at Elche - The Huerto del Cura there were no spaces available at all on any of the nearby side roads. 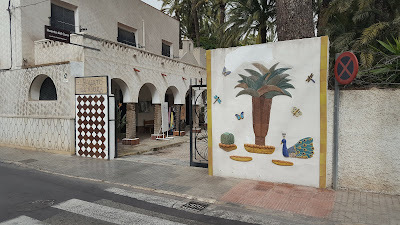 Be aware that the garden entrance is on Calle Porta de la Morera isn't particularly conspicuous and is also frustratingly a one-way street so you can't just turn round of you miss it or a suitable parking space making a 5-10 minute long drive round the one way system before you can get back to it. 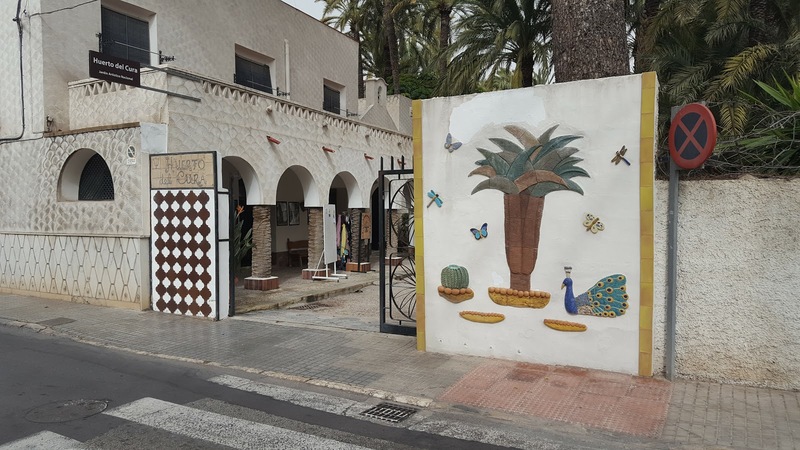 To be honest, you are unlikely to find a space on Calle Porta de la Morera so it is advisable to continue onto the roundabout by the police station and turn right along Carrer Xop Illicita. You are far more likely to find a spot here, but don't make the mistake of parking in a police reserved space. If you have no luck on this road then continued to the end and turned right again onto Calle Mangraner where you can expect to find a reliable amount of parking spaces. Admittedly it is a bit of a walk back to the gardens but what else can you do. Just don't forget where you parked and if you used satellite navigation do not leave it out on display as this can increase the risk of your car being broken into!